Versie 5.0 van WordPress is uitgebracht. 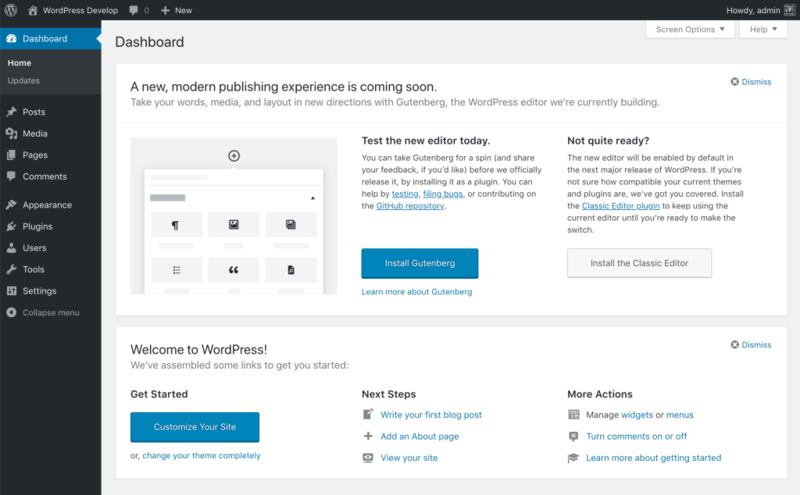 In deze software update bevat onder meer een compleet vernieuwde editor (Gutenberg) en een nieuw standaard thema. De oude editor (Classic editor) is te downloaden vanaf de officiële WordPress/plugins repository. Some big changes have come to the editing experience in WordPress. A new block-based editor is the first step toward an exciting new future with a streamlined editing experience site-wide. Blocks are also reusable and many can easily be converted from one type to another. This new editing experience provides a more consistent treatment of design as well as content. The Classic Editor plugin restores the previous WordPress editor and the Edit Post screen.